Andrew Lloyd Webber's musical sensation Cats has given us some of the most exhilerating songs in musical theater today. Johnnie Vinson's flair for writing accessible arrangements for younger players makes this medley a guaranteed success. 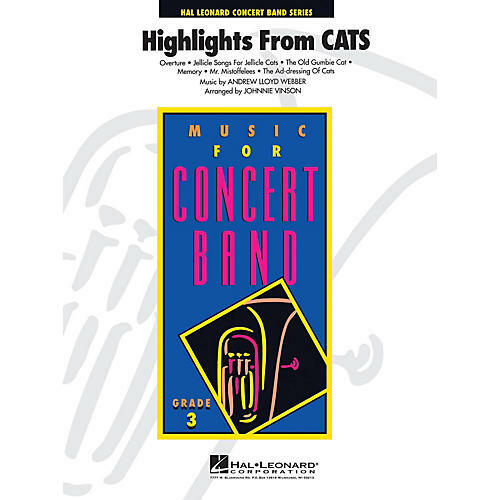 Includes: Overture, Jellicle Songs For Jellicle Cats, The Old Gumbie Cat, Memory, Mr. Mistoffelees, and Addressing Of Cats.